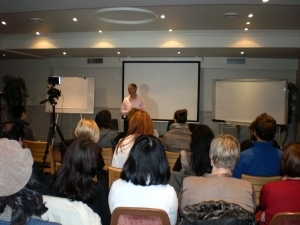 Alpha RePatterning Workshop Anyone who has been around EFT for a while knows that it is an awesome tool for rapidly resolving a huge range of issues. That is provided of course we thoroughly address the core issues or root causes of the problem. Alpha RePatterning harnesses the awesome power of your unconscious mind to safely and easily identify your unconscious blocks to success and thoroughly resolve them with EFT, whether those issues occurred before during or after birth. With Alpha RePatterning you not only resolve core issues that may otherwise be inaccessible, you also create and release your compelling new future in alignment with your highest values leaving you in a peak state of love, acceptance and possibility. With the past resolved and your future clear you can enjoy being, living and creating in your present…. Right now. 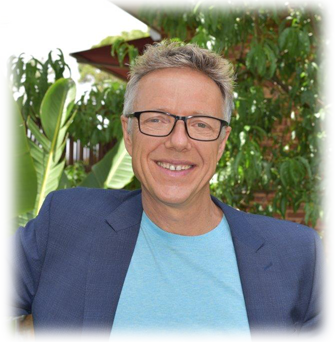 Alpha RePatterning was developed by Russell Cunningham at The Australian Institute Of Self Development over 13 years and more than 14,500 client hours combining EFT, NLP, Time Line Therapy ® and Regression Progression Hypnotherapy. If you have used EFT with a skilled practitioner or trainer you will know that it is an awesome tool for rapidly resolving a huge range of issues. That is provided of course we thoroughly address the core issues or root causes of the problem. So if Jenny comes for assistance with say a fear of dogs for example, and she had no fear until a recent event where she witnessed a dog attack then the issue will probably be rapidly and easily resolved with EFT. If however she has had this fear for as long as she can remember or ever since she was attacked by a dog when she was 1 or 2 years old then it may be difficult to effectively access and resolve the issue. In these cases Alpha RePatterning will enable us to safely and comfortably access the unconscious memory from a detached perspective and thoroughly resolve the issue. Once resolved she can replace the traumatic memory with a positive memory of stroking a friendly dog. The unconscious mind doesn’t differentiate between a so called real event and the new event that she has created. So while consciously she is aware that there was an event back then she is no longer effected by it. By resolving the initial root causes of any limiting emotional patterns and beliefs, your unconscious will easily accept your optimum possibilities and enable you to live your life with boundless opportunity. So with Alpha RePatterning you not only resolve core issues that may otherwise be inaccessible. You also create and release your compelling desired outcome into your unconscious future in alignment with your highest values, leaving you in a peak state of love, acceptance and possibility. With the past resolved and your future clear you can enjoy being who you really are, freely living, loving and creating in your present…. Right now. 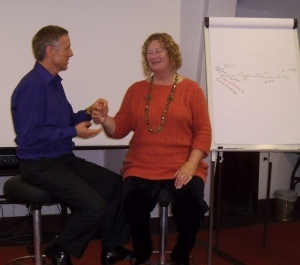 Alpha RePatterning was developed at The Australian Institute Of Self Development over 13 years and more than 14,500 client hours combining EFT, NLP, Time Line Therapy ® and Regression Progression Hypnotherapy. I became an EFT Practitioner after EFT changed my life. I’ve suffered from severe PTSD since childhood and have tried all the methods of EFT on the market and practice most of them. However, it was only Russell Cunningham’s Alpha RePatterning that helped me access and totally clear a major trauma that I had worked on several times with another well known EFT modality. While I was aware of the event I was unaware that I had repressed so much of it and that is where the other methods failed to clear it. Alpha RePatterning safely accessed the whole trauma and cleared the lot! As a result I now use it consistently in my practice, especially with clients who have a history of massive trauma and it works just as well for them as it did for me. It is truly life changing, thank you Russell! One thing to be careful of with this procedure is that the event is cleared so thoroughly that it may be difficult or impossible for the client to recall the event if required to do so as a police witness or in court etc. So be sure to check if this is ok first.